U.S. Naval Air Station, Brunswick Maine was constructed in March of 1943 and commissioned on April 15, 1943. The primary mission was training of the RCAF pilots. The first U.S. squadron to arrive at NAS Brunswick was VS1D1, a scouting squadron. In October of 1946 the base was deactivated and turned over to Bowdoin College and the University of Maine . The Navy on March 15, 1951 raised the national ensign on the flag pole re-commissioning the dormant base back to a Naval Air Facility. 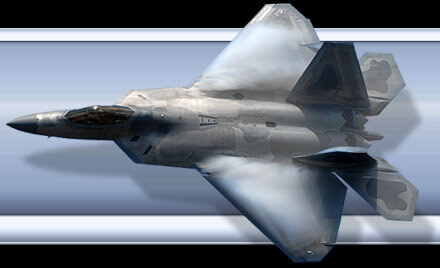 They were to established a mission of supporting 3 land-plane patrol squadrons and one Fleet Aircraft Service Squadron. The Navy requested $35 Million from Congress to transform this into a Master Jet base. Such a base required dual 8,000 foot runways. In 1951 Congress requested an additional 20 Million for additional barracks, officers quarters, and such to make it a permanent installation. The squadrons based at NAS Brunswick flew the P2V Neptune Patrol Bomber. On July 1st, 1971, Commander Patrol Wings US Atlantic Fleet/ Commander Patrol Wing Five established NAS Brunswick as their Headquarters. At present 3 Patrol squadrons (VP-10, VP-26 & VP-8) and 2 Reserve Squadrons (VP-92 & VPU-1) fly the P-3 Orion. A Fleet Support unit, VR-62 operates the C-130T out of NAS Brunswick. I had the chance to visit NAS Brunswick and spend a few hours with VP-10, known as the Red Lancers. A little history of their patch, the insignia represents the mission of the Compass Rose as a backdrop. The Dipper and Polaris is superimposed to show how long overseas patrol is necessary for navigation. The lightning bolts represent the importance of sending and receiving radio information. The bomb in the middle of their unit patch represents their secondary mission as a VP Squadron. 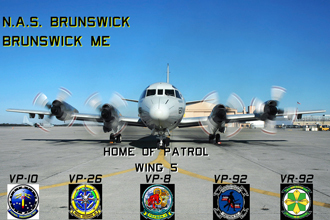 The BRAC recommendation is to close NAS Brunswick and move all the P-3s down to NAS Jacksonville FL. I appreciate the time LTJG Evans and Lt Gomez gave me during my visit. NAS Brunswick plans to host an Air Show featuring the Blue Angels this year.